As winter fades away and spring arrives, many athletes are starting to look at their first races on the calendar. Some feel confident, others begin to panic. Transitioning from the base period into a race specific build can be daunting. Gone are the days of longer, moderate workouts to build your aerobic capacity. In their place are workouts with intervals to be done at specific intensities, heart rate goals to hit and maybe wattage ranges to hold on the bike. It is during this critical time that many gains can be made – if you do it properly. The time-crunched athlete (most of you I would assume) can ill afford wasting time in training, or feeling lost when it comes to what to do with all the data in your training log. Even worse is the guessing and second guessing that can come when the training needs to become more specific. It is during this time that you start to realize the value of a coach. Have you heard about Coach Match? Check out the TrainingPeaks Coach Match Program and get a hand-picked coach who will help you meet your goals. As someone who has been a self-coached athlete, a coached athlete and a coach to others, I have been through this process from every angle. Like most, I started out coaching myself. Initially I had some good progress, but when I wanted to take the next step and really find my potential, things quickly got confusing. There is a lot of data and ideas on how to train out in the world. This is especially true come spring when athletes start to move into their build phase and specificity really starts to matter. Sifting through the information, deciphering it and deciding if it works best for you can quickly become overwhelming. I remember asking myself a lot of questions. How much time should I spend at threshold? How many intervals do I do? How do I structure my week to get in quality on the bike and run? What is the best heart rate for me to be in? I vividly remember sitting on my couch, looking at my log and trying to set my schedule. Every night I’d sit down with a new idea, concept or workouts, scrap the old plan and come up with a completely new one. I’d add the newest workouts, each time thinking I had the perfect plan, only to repeat the process two days later. Doing this and the doubt it brought was as exhausting as the training I was doing. By the time May rolled around I was in a desperate state. My training was okay, but I was still looking at every concept and idea and trying to implement them into my schedule. Thankfully, I finally saw the light and hired a coach to do the thinking for me. Initially it was difficult for me to trust someone else with my training. After all, I knew myself better than anyone, right? With my input and data collected in TrainingPeaks, my coach cut through the clutter, providing me with a solid plan that I could trust. I saw the overall plan, but could just focus on the near term. We set short-term goals that set me up for my long-term goals. My coach offered constructive feedback and an unbiased view of my training. What I was most thankful for was my coach helping me decide when I needed to back off and rest, and when I could push through the fatigue. As an athlete, it can be hard to keep your eye on the long term when it comes to recovery, but having a coach confirm when you need to step back makes it easier to do so. With a newfound clarity and purpose I instantly saw better results. Rather than trying a new workout each week, I had a progressive training schedule. I knew the purpose for my workouts, and when you know why you are doing what you are doing, there is a new level of motivation to tap into. Moving from phase to phase, I could see and feel the progression. Field tests validated my improvement and allowed for unbiased, data-driven decisions. That season turned out to be one of my best. I set new PR’s and qualified for the Ironman World Championships. While I know I put in the work, I have to credit my coach for ensuring the work I was doing was the correct work. Remember, hard work can be done in many ways, but doing work that furthers your purpose is the key. With the help of my coach I was working harder AND smarter. If you recognize yourself in what I went through, know that it’s not too late even if you have done your first race or two already. Really it’s never too late. Working with a coach takes the burden off of you so you can focus on the training. 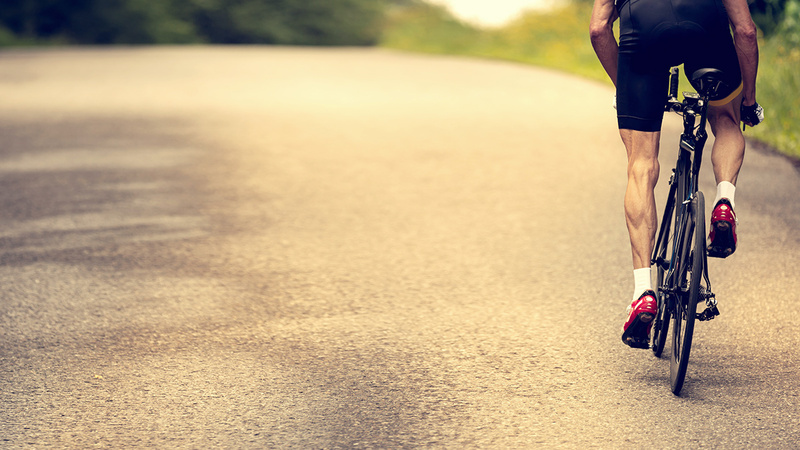 As you move into race season each workout becomes more important. You’ve moved into specific training, and every day you’re one day closer to your ‘A’ race. Make sure you are doing the right work and following a plan that works for you by working with a coach. The TrainingPeaks Coach Match Service can help you find that coach.